sterling silver jewellery york fashion jewellery Fashion Jewellery: Long Necklace Sterling silver jewellery range of Fashion and Danon jewellery. Welcome to our expanding collection of long fashion necklaces! When it's time to stand out from the crowd and show your individuality, nothing works better than our fabulous range of long necklaces. From more contemporary, modern necklaces to classic, timeless pieces and festival inspired pendants, you're sure to find a long necklace that suits your tastes. We work closely with leading fashion jewellery designers to ensure we have a collection that will wow even the most discerning of fashionistas! Our selection of mixed metal long necklaces is perfect for Summer 2018 as they are stylish, versatile and easy to wear. Check out our bestselling long necklaces here, or have a peruse at your own pace. 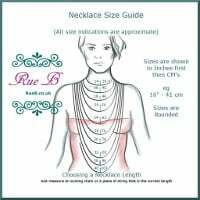 We recommend our fashion necklaces to everyone because they are beautiful, durable, easy to look after and affordable. It is incredibly important to us that our fashion jewellery is suitable for even the most sensitive skin, and so every piece of our jewellery is composed of hypoallergenic plain white metal alloys plated with silver, rhodium, gold or rose gold, and contains absolutely no nickel. 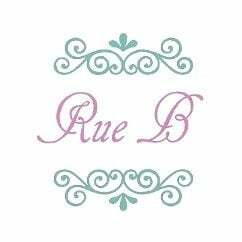 Our entire range is affordable and is beautifully presented in our signature Rue B gift wrapping. We offer free delivery on ALL of our jewellery items and offer a 14 day money back guarantee if you are not satisfied. Wear it! Your skin's natural oils will keep the jewellery clean. In cases of extreme tarnish, take to a professional jewellery cleaner. 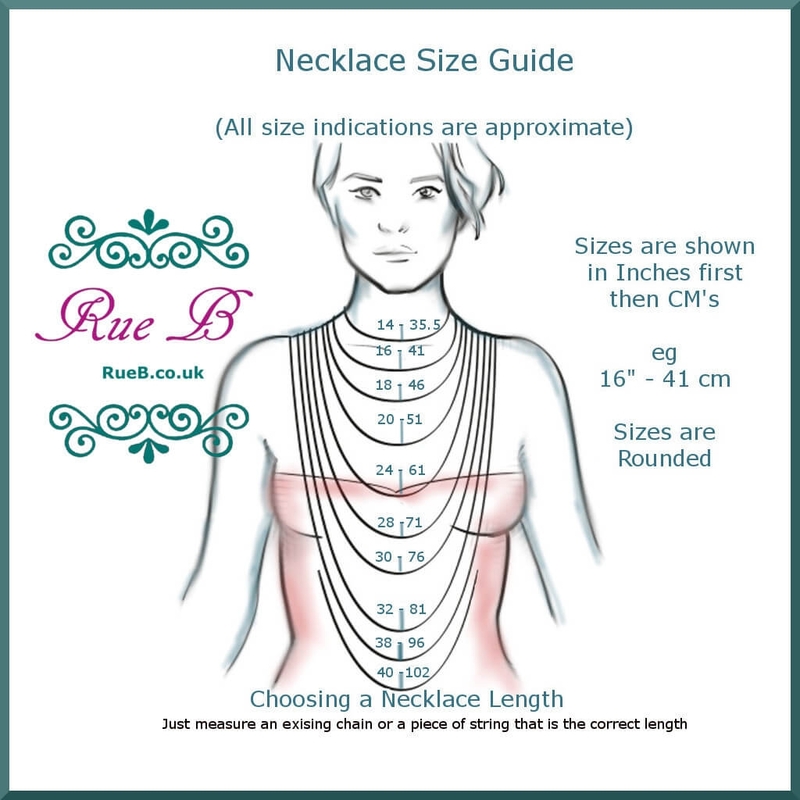 NECKLACE SIZE CHART: CLICK TO ENLARGE !